In the film Failure to Launch, the lead character has trouble succeeding because of his fear of failure. He is afraid to take the first step. In the movie, while this fear is portrayed in a comical way, there are many things that we can learn from him so we can succeed in our everyday lives. When we have a mountain to climb, or an elephant to eat, the best way to get to the end is to start with the first step. Sometimes that first step can be terrifying, and this fear is understandable. We often don’t know how, or what to do first, we don’t want to make a mistake, or we are simply comfortable where we are now. Regardless of which one of these best fits you, you don’t want to become a professional “Avoider- someone who uses an avoidant defense mechanism to put off to tomorrow what needs to be done today” (Banschick 2012). That is why I want to offer a few helpful tips on being able to launch. First, it is important to remember that you don’t have to go through it alone. Getting someone else involved with your journey is the best way to get moving. Accountability is key and sometimes we all need a partner. Find someone who has been where you are, is at where you want to go, or has previously experienced something similar. You can also ask someone close to you for help along the way. Second, you don’t have to be perfect. There are very few successful people, probably none, who got where they are today without making some mistakes along the way. Don’t let fear stop you from doing what you want. Take the first step, make a plan and review it with someone you trust. Once you get started, you’ll realize that the worrying was unnecessary, and you’d wish you’d gotten started sooner. Whether it’s beginning school again, finishing your degree, or just getting started, I hope this helps you launch. 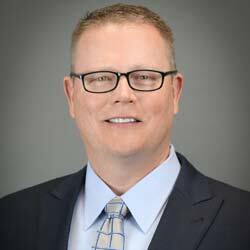 Mark A. Weedon is Trident’s National Director of Strategic Alliances and a 29-year military veteran. An avid learner, Mark holds a Bachelor of Science in Business Administration and is currently working on a Master of Science in Human Relations. Learning more about Trident’s resources for veterans and active duty military members.